Q1: What are student attitudes about politics and government – engagement, distain or indifference? 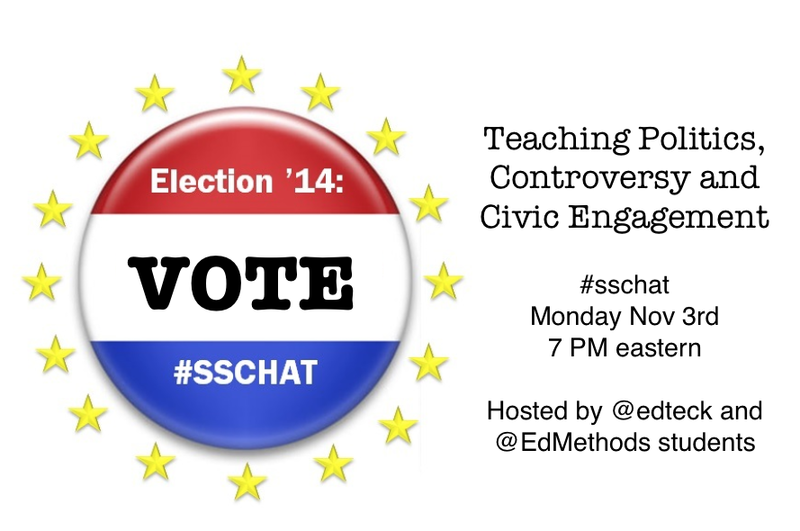 Q2: How do you create a safe classroom climate to address hot-button political and social issues? Q3: How should teachers deal with their personal opinions when teaching politics and controversial issues – teach, preach, abstain? Q4: How can we help students be critical consumers of political news and opinion? Q5: What resources / ideas can you recommend for teaching politics and fostering civic engagement? Q6: (Channel your inner Nate Silver) Do you have a prediction to make about a hot 2014 election or ballot initiative? They begin the course by doing self-audits of their social media use for professional networking – a good starting point to reflect on their expanding professional learning networks. Along the way we use load of tech tools to achieve our course goals. Every activity results in a public product for their growing professional portfolio. Rather than tell them what to do, I prefer to model it. Here’s a brief Storify that illustrates how to fuse our three course goals and produce content to share with the world. Here’s our first set of student posts. Take a look and leave a comment. 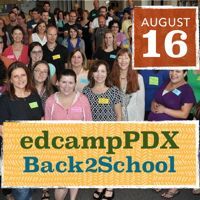 I’m getting ready for the fall semester at University of Portland School of Education where I teach grad and undergrad social studies methods class. Our class blog EdMethods. With more than 140 characters to work with, I posted the following to a number of my Google+ communities and LinkedIn groups. Within hours the replies started to come in. In less than 48 hours I had received enough feedback to collect them in Storify. View directly here or embedded below. How would you teach aspiring teachers how to effectively use social media to network and for their own professional growth? Add your ideas in the comment below. The free iOS app documents the vitality of this once thriving “Nihonmachi” and its sudden disappearance in the spring of 1942 when all persons of Japanese ancestry were removed from the West Coast and placed in America’s concentration camps during WWII. 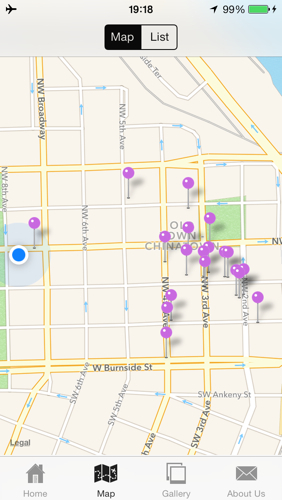 In addition to telling Portland’s Japantown story, the app explores the remarkably diverse Old Town neighborhood in tour stops that honor its African American, Chinese and LGBT roots. Todd Mayberry, the Director of Collections and Exhibits at Nikkei Legacy Center speaks to the role this app can play in promoting the historic importance of Portland’s Nihonmachi and the need to preserve it from the ever-present threat of historically inappropriate over development. Our goal was to design a user-friendly app suitable for all technical “abilities.” We began by surveying the Nikkei Center’s rich collection of historic photos for location-specific images. The most notable and well-documented became our tour stops. When we had historic exterior shots we photographed the contemporary scene replicating the view. Thus users can watch historic Japantown street life reappear in “then and now” dynamic photographic dissolves. 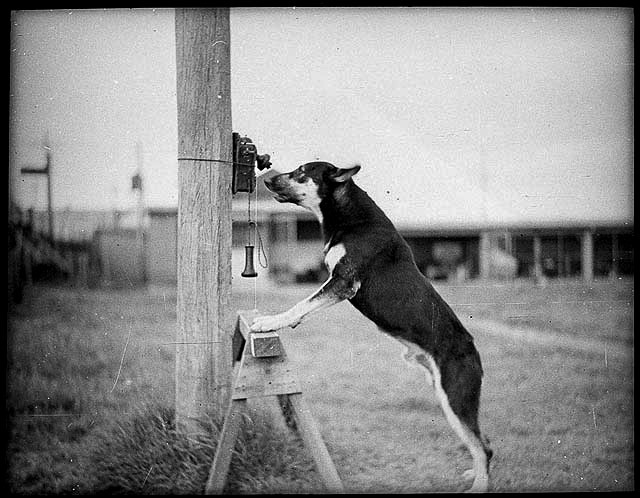 Each stop has multiple historic and contemporary images, text and an audio narration. 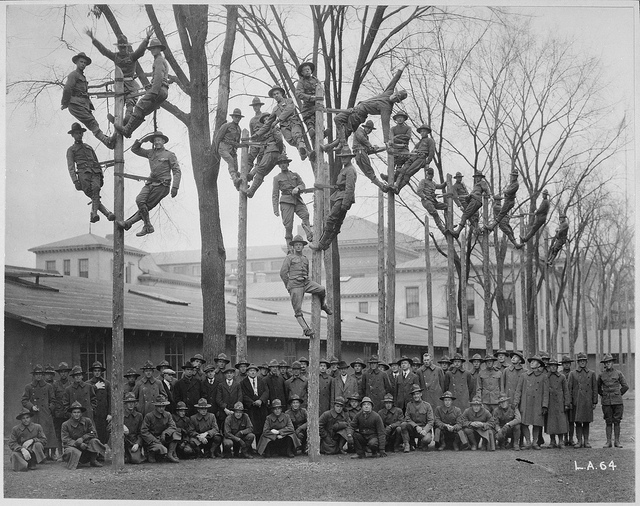 We had many historic photos that told the story of a vibrant community, but they lacked location. We decided to include them in the app as a “Gallery Section.” The app also allows users to share image content with built in Facebook and Twitter buttons. 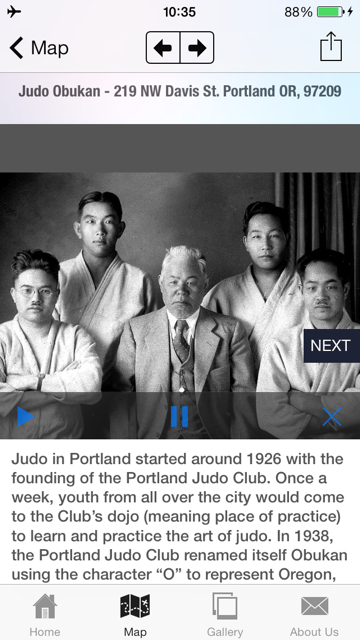 This app grew out of a collaboration between my Social Studies Methods class at the University of Portland and the Nikkei Legacy Center. It was one of three curriculum design projects undertaken by students in support of the museum’s educational outreach. 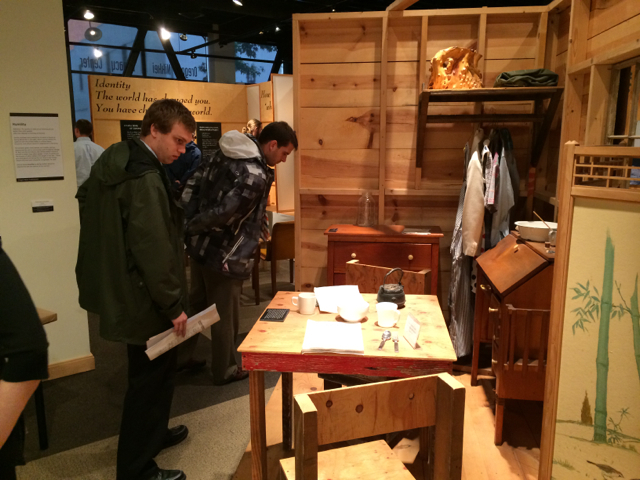 For more see my post Student Consultants Design Museum Curriculum and Mobile App. 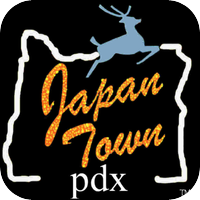 My class served two roles in the app development – the entire class became our focus group – discussing what they thought needed to be in the app – both from the perspective of user experience and their growing knowledge of the history of Portland’s Japantown. Three student’s worked more directly – narration (Aram Glick), audio recording (Collin Soderberg-Chase) and logo (Samuel TS Kelly). I worked closely with Todd Mayberry to select content and images. The other key team member was GammaPoint LLC a Portland-based mobile app developer and designers of my favorite workout app - WeatherRun. GammaPoint was interested in designing a user-friendly platform that would allow organizations to develop their own tour apps with a minimum amount of assistance. Our project served as their beta. We worked with GammaPoint on developing the tour design, generating prototypes which were then evaluated by my students and Nikkei Center. For example, we discovered that while we had a wealth of video interviews of former Japantown residents, their file size bloated the app. We used plist files to upload data to GammaPoint and tested their new web-based upload tool. It has now evolved into GammaPoint’s App4Tour which promises to be an affordable way for users to create their own multi-media rich tours with minimum of technical assistance.